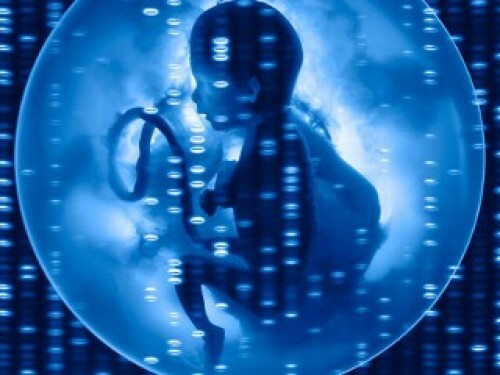 In the United States, researchers at the Oregon Health & Sciences University announced that they have successfully created an embryo with genes from one male and two females. This controversial technique is believed to one day prevent babies from birthing with incurable diseases. British researchers in 2008 were the first to announce this medical breakthrough, though it was a very early attempt, and virtually zero safety measures were in place to justify large-scale implementation. Due to the nature of this breakthrough, the British government asked for public opinion on the provocative procedure before deciding on whether or not to continue. Headlines read “Baby Born With Three Parents”, and chaos ensued. However,this of course was not the case. Only 1% of the baby’s DNA would come from the second parent. In essence, the 1% would be used to replace disease and birth defects that might have otherwise been there. The major controversy behind this medical procedure is the possibility of creating“designer babies”, where the parents could order their idea of a perfect child. Doctors would manipulate the DNA so that the baby was born either tall or petite, with blond hair or blue eyes. The moral implications behind this sort of cookie-cutter-child-assembly procedure are sketchy, and very unknown. There are no historical precedents to assist in decision making. Whereas the British government opened up the forum to public discussion, the American government seems to be playing this one close to heart. Not much else is known about the direction the Oregon scientists will be taking their research, nor if talks are currently taking place to enact laws allowing, banning, or regulating the practice. Questions remain on both sides of the argument. There are the people who currently live with and experience a variety of horrible and incurable diseases who would like nothing better than a cure to be discovered. Then there is the conservative viewpoint that asks if our originality will be lost if we continue on this shaky path. What happens when nature is no longer allowed to take its course? If everything is decided pre-birth, can we really tell our children that they’re unique? And if a child learns that they were “artificially-designed”, what would an epiphany of that magnitude do to the child’s psyche? These are the types of discussions that must take place before a single designer embryo is allowed to birth.